MENTOR, OHIO – A strong second quarter from Mentor paved the way for a second half route. 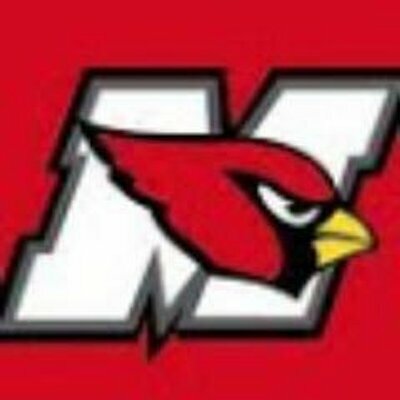 The Cardinals would go on to defeat Mayfield 81-48 Saturday night in Mentor. The Cardinals started the game swiftly. A quick 10-0 run would force Mayfield coach Bob Pacsi to call its first timeout. The Wildcat offense would slow things up the rest of the quarter as Mentor would score just five points in the final five minutes. 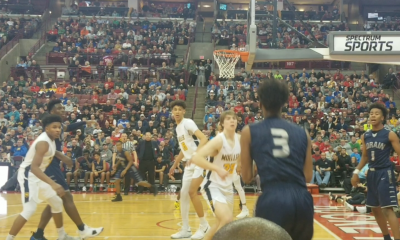 The pressure defense from Mentor would force Mayfield to take some highly contested shots and the Mentor lead would be nine points after the first quarter. Nothing was easy for the Wildcats, forcing Mayfield to turn the ball over frequently. The second quarter is where Mentor took advantage of their turnovers forced on the Wildcats. The Cardinals went on a 17-3 run in the final five minutes of the quarter. Their lead would ascend to 22 points heading into the half. Senior forward Tadas Tatarunas would pick up his fourth foul with just under seven minutes left in the third quarter, forcing him to sit most of the quarter. But the Cardinals didn’t lose their touch from behind the arc and the route continued. The lead would be 21 points after three quarters. One thing coach Robert Krizancic reiterated with his team was free throw shooting. The Cardinals shot 7-15 from the charity stripe, a percentage that has to increase as the Cardinals continue to make a late playoff push. 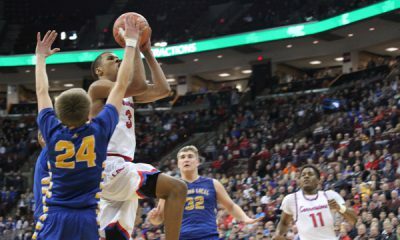 Mentor would control the final eight minutes of the game to advance them to the District semifinal next week at Euclid. Vince Daher would lead Mayfield during the loss as he had a game-high 16 points. Denzel Seawood contributed with 12 points along with Aaron Hicks rounding out the scoring with 11 points. 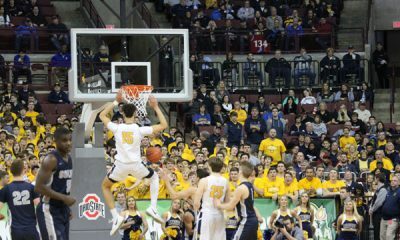 Luke Floriea paced the Mentor offense by scoring a team-high 14 points. Matt Koski ended up with 10 points along with Caden Kryz and Ben Gingrich contributing with 9 points each. 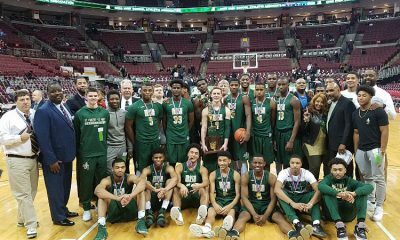 The win now advances Mentor to play in the Euclid District semifinal game Thursday night against Brush. Coach Krizancic feels confident with his team heading into the game against next week. The loss Friday night for Mayfield ends their prodigious bounce-back season. After winning just two games all year last year, the Wildcats finished the regular season with a 17-5 record.